The Union cabinet on Tuesday approved highway projects at a cost of about Rs 7-lakh crore for development of over 80,000km of highways including Bharatmala project. The Phase 1 of Bharatmala project will develop and expand approximately 40,000 km of roads at an investment of Rs 3.5 lakh crore by 2022. 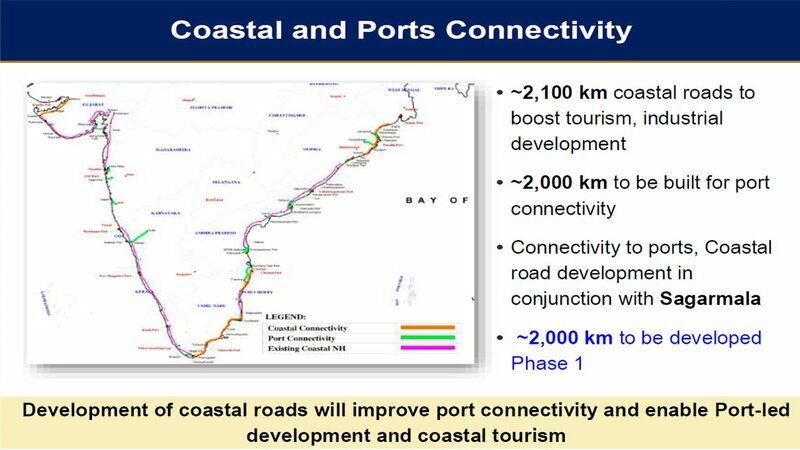 Bharatmala is government’s mega plan which will connect coastal areas and ports of India with road highways.